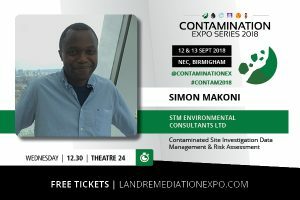 We are excited to announce that we will be exhibiting at this years Contamination Expo on Wednesday 12th & Thursday 13th September 2018 at the NEC in Birmingham. Our team will be located in Hall 5 at Stand 5S70. STM Environmental Consultants Limited is a UK registered private limited company formed in 2004. Since our inception, we have created and maintained a successful track record of completing and delivering projects within budget and on time, much to the satisfaction of our clients. © 2019 STM. All Rights Reserved. Web Development by Web Choice UK.